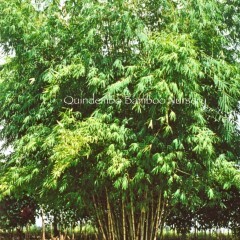 All our bamboos varieties are non-invasive/clumping. 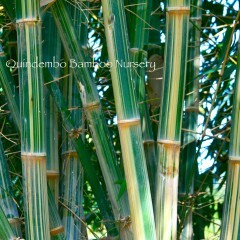 Majestic and statuesque, it is a very dramatic specimen in the landscape, with beautiful silvery canes and dark green foliage. Strong, durable and straight canes are construction grade. Overall, one of our favorite plants. Can grow well in dry & windy locations with good irrigation. Maxima is a bold and beautiful statetment in the landscape and generally attains a height around 50 feet with 4-5 inch diameter canes. Gorgeous, large plant. The polished canes have beautifully, clearly defined segments and will go burnt orange in the sun. 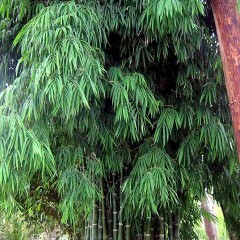 This plant (to about 30-40 feet tall) is commonly referred to as ‘wine bamboo’, this non-invasive bamboo grows in almost any condition here in Hawai’i. 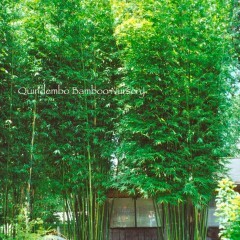 This is a bamboo that does it all. Highly esteemed for its grace and beauty and it’s construction grade canes. We do two cultivars of this species (Greenstripe & Silverstripe). 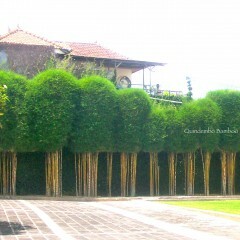 Both of them create fabulous hedges and privacy screens. 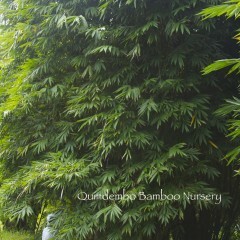 A large, striated, beautiful and strong species is a great plant. 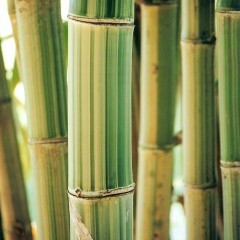 Construction grade canes – edible shoots. 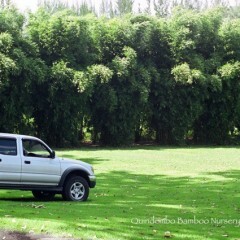 Beautiful arching growth habit. 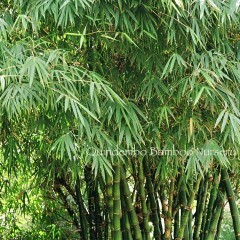 Sometimes called ‘Silk Bamboo’ in Thailand where it is often used as an ornamental. 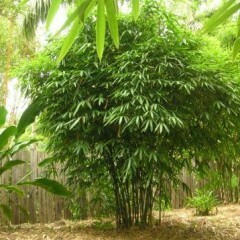 About 30 feet tall with 2+ inch diameter canes that are dense, almost solid and seem to be very strong. 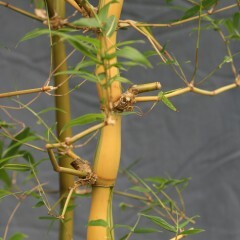 A short, and highly entertaining bamboo with its dramatically swollen internodes. “Lumps” better closer to the ocean; mostly recommended below 500 ft elevation. 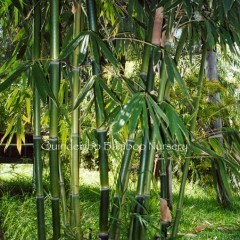 We believe that this is the Canoe Plant that the original Polynesians introduced to the Islands of Hawaii. 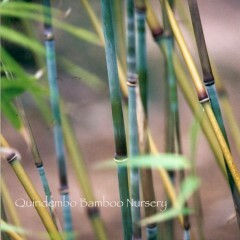 This is the bamboo that is traditionally used for nose flutes and hula implements. Absolutely gorgeous. 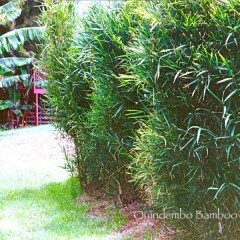 The common name of this bamboo around here is ‘the one everyone wants’. 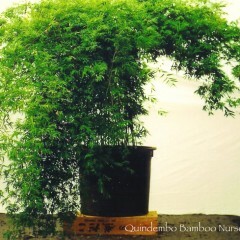 A remarkable garden or container plant. 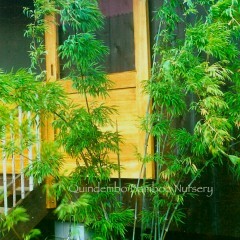 It is a relatively new introduction from China where there are many beautiful bamboos to chose from; this one is primarily planted as an ornamental. The timber is used for construction. Clean, vertical and gorgeous. Good anywhere in Hawaii. Supposed to be a bit shorter than the regular textilis but we think that has more to do with environment than species. 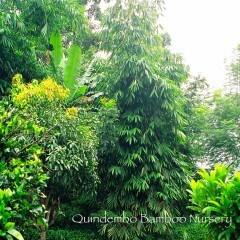 A truly elegant and vertical plant to around 30-40 feet tall. 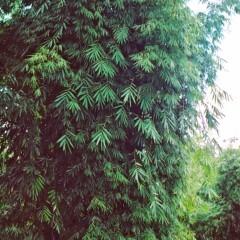 Graceful with lush foliage. 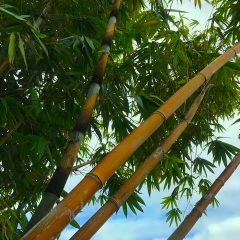 This is the bamboo that fueled the bamboo construction renaissance of the past few decades, and is well represented in the work of several architects from Colombia. 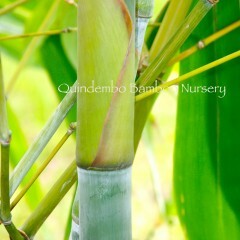 Striated Buddha Belly Bamboo. 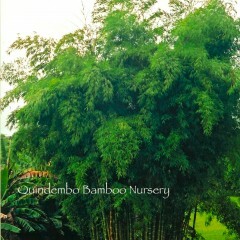 A lovely plant that we grow specifically for use in containers.